James just James at RedHat headquarters in North Carolina wearing his new red hat. 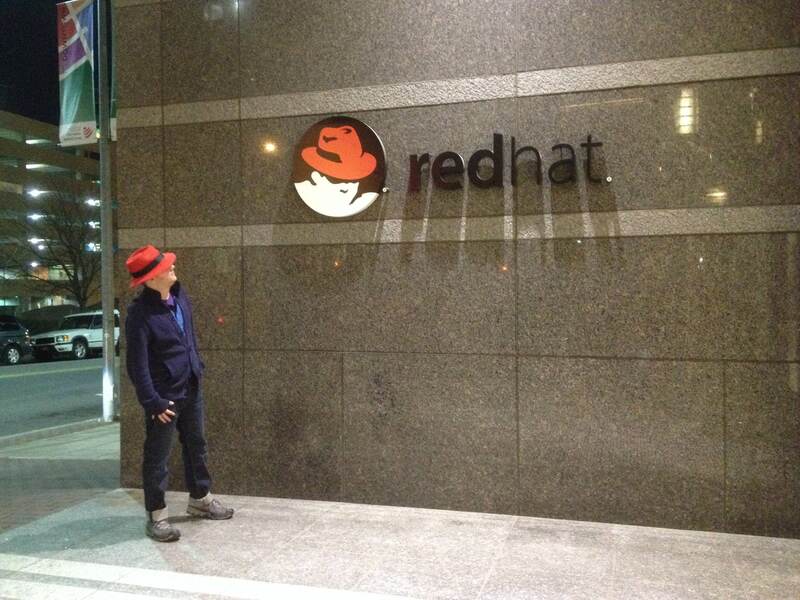 RedHat made me an offer, and I am happy to say that I have just started this week! I am proud to have joined a company that employs many of the worlds foremost, highly professional and clever hackers. It is indubitably the best Free Software  / Open Source company out there, and they ship some of the greatest and most elegant software available. Since free software is not a matter of price, a low price doesn’t make the software free, or even closer to free. So if you are redistributing copies of free software, you might as well charge a substantial fee and make some money. Redistributing free software is a good and legitimate activity; if you do it, you might as well make a profit from it.